Sorry, but this is yet another long episode. And I didn't meant for it to be one! 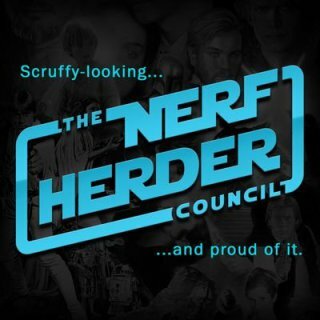 I was chatting with JD from the Nerf Herder Council, and well, before you know it, an hour had passed! It started as a Podcasters Spotlight episode, turned into a LT12P Conversations episode, became a Solo review, a Celebration planning session, and it kept going from there! None the less, I hope you will give it a listen. Stick around to the end... I promise you there is some good stuff at the end. I also promise that I will get back to the short shows tomorrow, and the days following. Thank you for your patience! PS - We recorded this episode on May 28th.